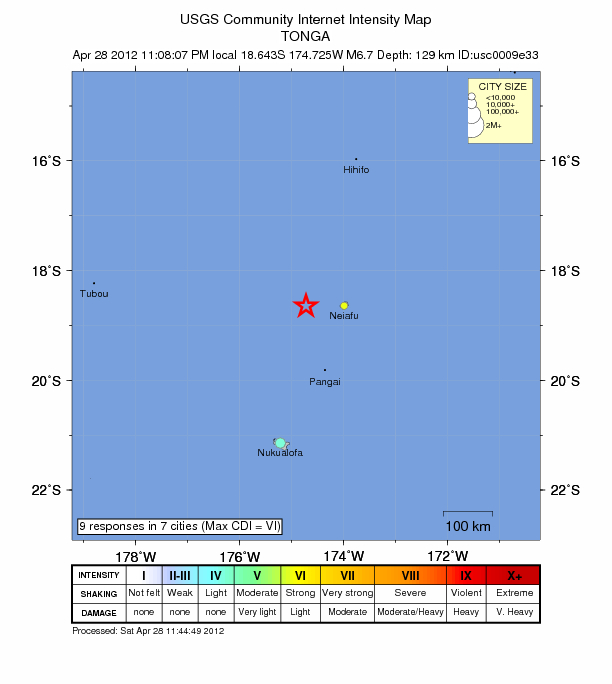 Strong and deep earthquake with magnitude 6.4 struck Tonga region on April 28, 2012. 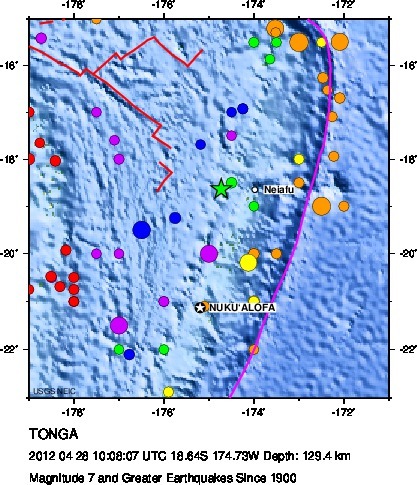 Epicenter was located 78 km (48 miles) W of Neiafu, Tonga (18.643°S, 174.725°W). Recorded depth was 129.4 km (80.4 miles) by USGS. Earthquake was harmless for shaking damage and tsunami as the depth and source of earthquake is unable to generate strong shaking or tsunami waves. Additionaly, the people living in this region are familiar with strong shaking.